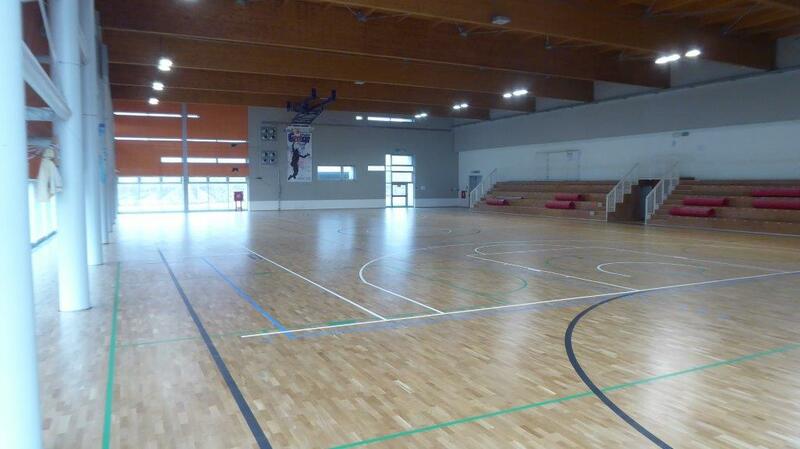 The Municipal Technicians have chosen a type with characteristics of solidity and sturdiness, with important thicknesses (41mm) and high sports performance as relevant data, 62% shock absorption and a 96% ball bounce, a practically indestructible floor. 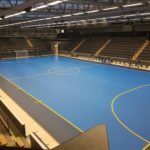 The choice of this package was determined for the high level of the teams that use the Palasport and for the protection of the joints and muscles of the athletes themselves. 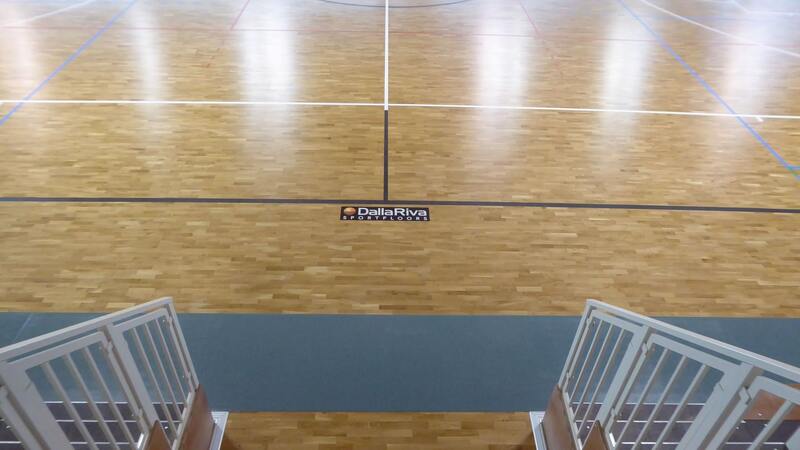 7 signs have been traced as follows: 3 basketball, 3 volleyball and a 5-a-side football. 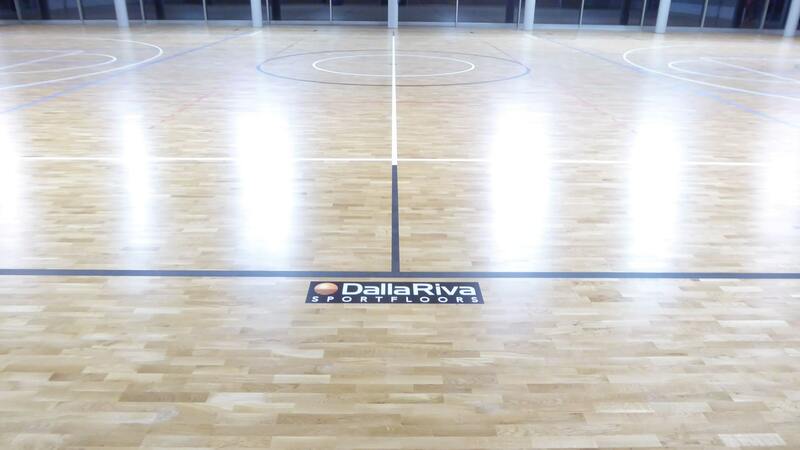 “Dalla Riva” parquet floors are certainly not for amateur use and are installed on large sports halls. 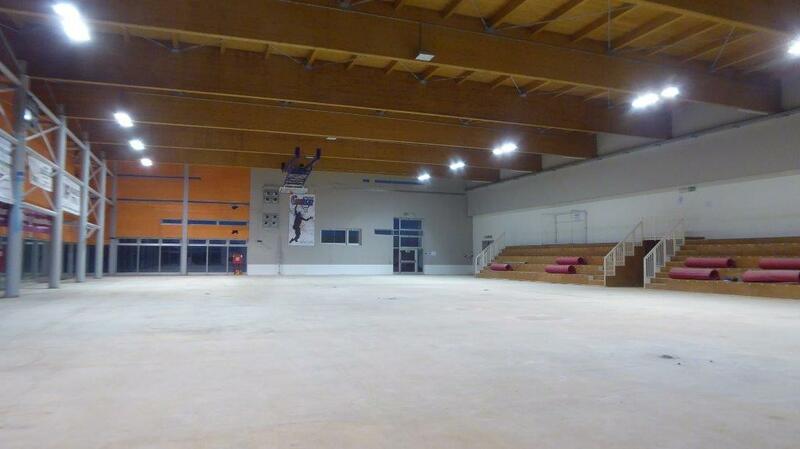 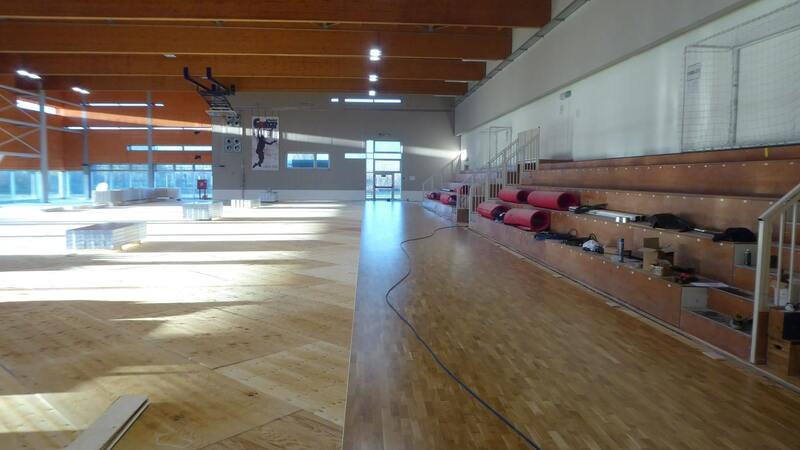 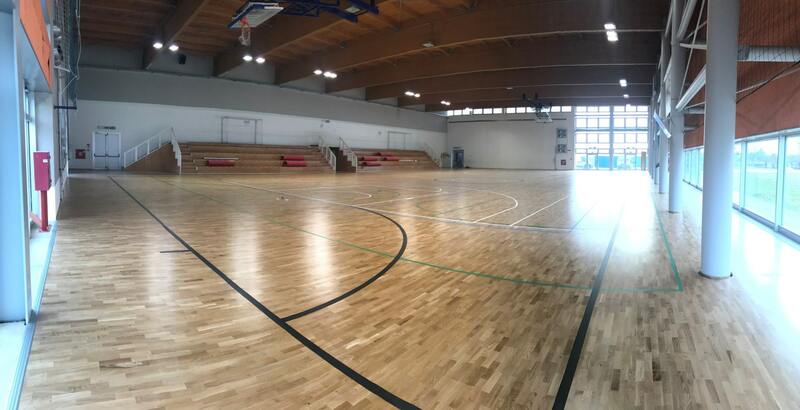 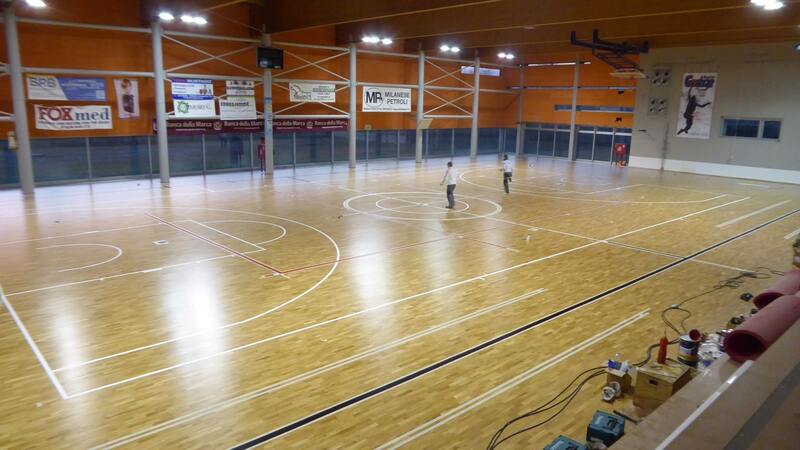 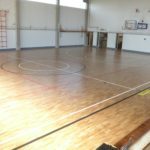 The complete installation was carried out by internal technicians specialized only in sports parquet. 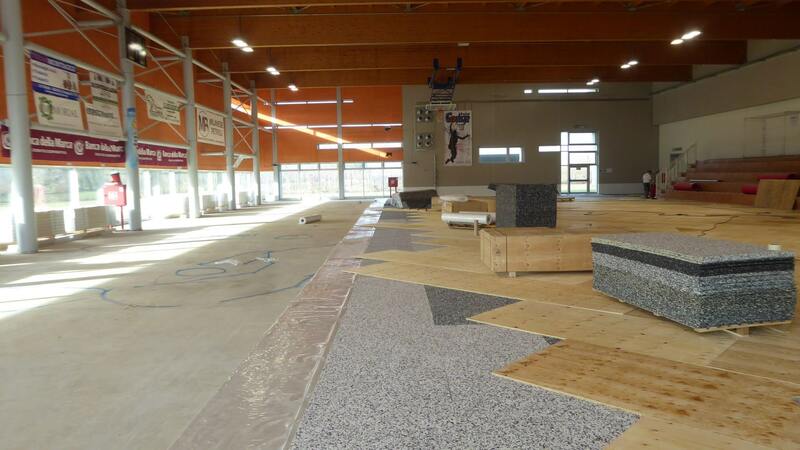 Thin and low-performance floors were not considered as they were considered amateur; floors with fragile and thin click joints have been discarded, to the limit of endurance, with reduced performance and reputed weak.